Our Summer Style challenges are drawing to a close, and I've had such fun putting together outfits for these challenges. We are just now creating out new batch! This is pretty much what you'll find me in when I'm just bumming around at home. Shorts and a t-shirt. 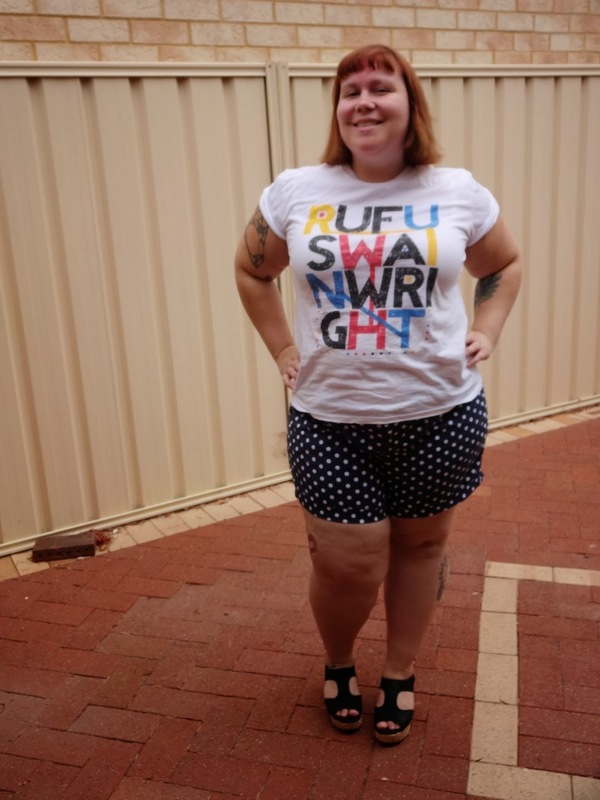 I love these shorts, they are super light denim and very comfortable to wear, plus, polka dots! I knew I had to have them as soon as I saw them! 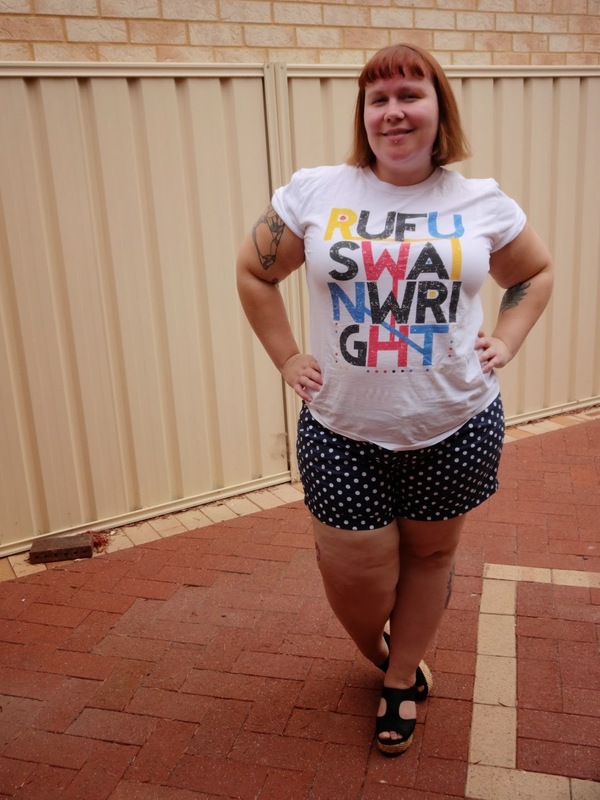 I picked up my Rufus Wainwright t-shirt at the Blue & Roots festival last year. I love the colours! Want to participate? 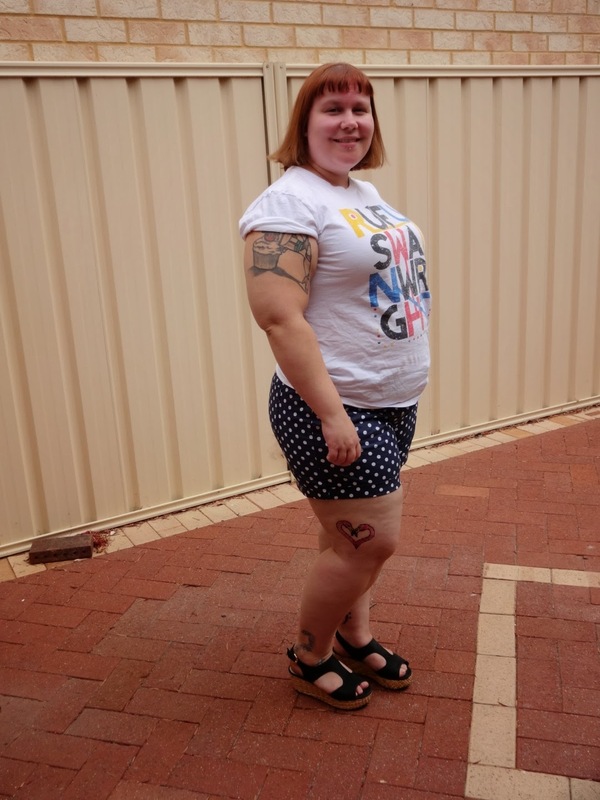 use #perthcurvettes on instagram, or add your blog to the linky below!